Brenda Wong Aoki in "Aunt Lily's Flower Book." Photo Leanne Koh. "First Kitchen" at The Black Cat. Yuna performning at Heritage SF. Photo by Ray Wong. David Henry Hwang and Jeanine Tesori talk about their new musical play SOFT POWER. Photo by Leanne Koh. Mina Shum, Pei-Pei Cheng and Tzi Ma at the "Meditation Park" screening. 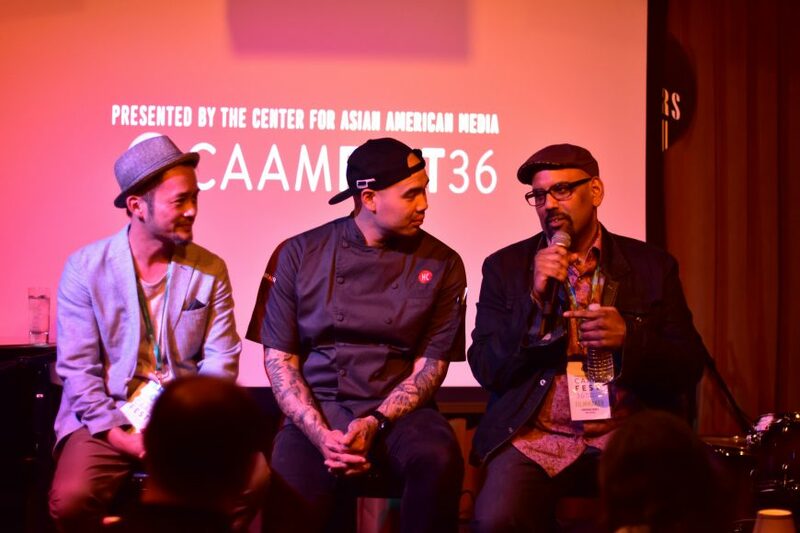 The Center for Asian American Media (CAAM) presented its 36th annual music, food, film, and digital media festival, CAAMFest, in San Francisco and Oakland from May 10-24, 2018. 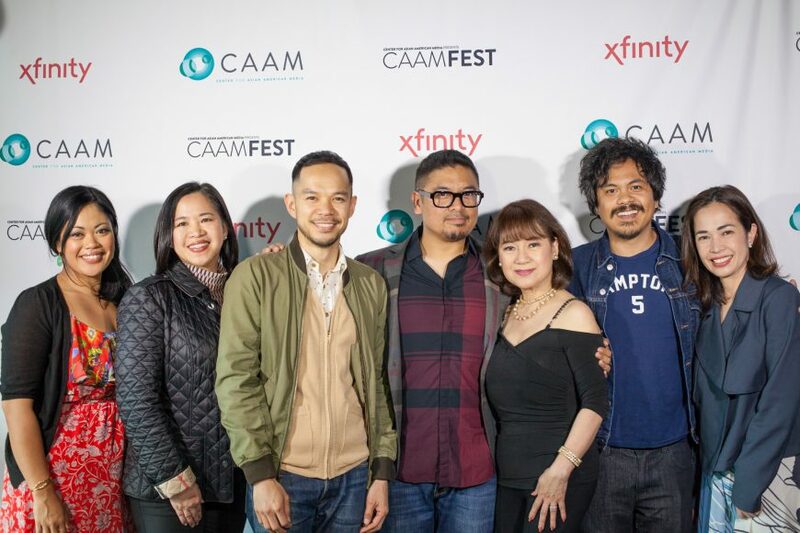 An estimated 30,000 patrons celebrated 126 works at 92 public events during CAAMFest36, the first year that CAAMFest has taken place in May. 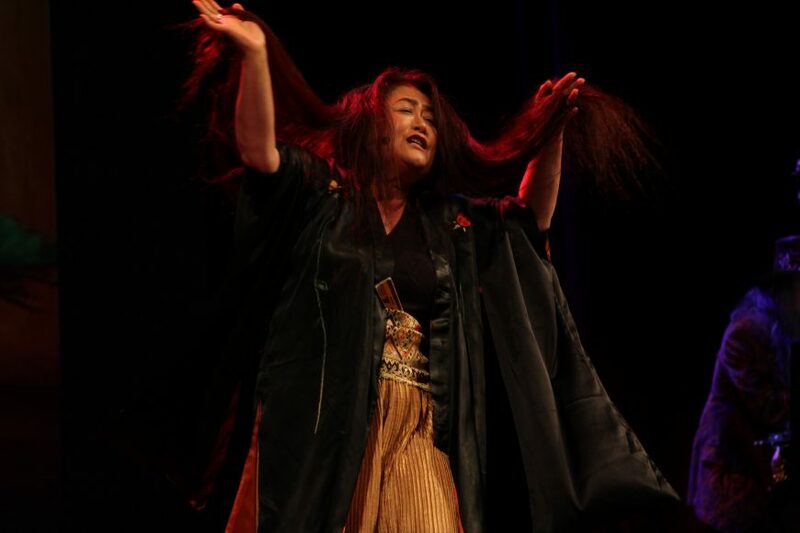 Previously celebrated in March, the festival moved to coincide with Asian Pacific American Heritage Month (APAHM) and align with the national broadcast works curated and produced by CAAM. In addition to this move, CAAMFest included four more days of festival programming this year. CAAMFest36 included 119 films this year from 20 different countries including 10 narrative films, 9 documentaries, and 76 short films. There were 24 World premieres, 4 North American premieres, 3 US premieres, 10 West Coast premieres, and 38 San Francisco Bay Area premieres. In addition, there were 12 special events or live performances at CAAMFest36 including HERITAGE SF, a free music festival presented by Boba Guys and produced by CAAM, ISAtv, and Undiscovered SF, which brought in over 6,000 attendees alone. “The festival this year truly tied together ‘Culture, In Every Sense’,” says Festival Director Masashi Niwano. For several years now, CAAMFest has been integrating other elements of culture into its programming such as food and music. “We had a big music push this year with HERITAGE SF that featured incredible performers like Yuna and P-Lo,” Niwano says. “We created a new CAAMunity Films category where we teamed up with amazing community partners, and we also had our first comedy show.” To boot, DISORIENTED COMEDY sold out at both of its performances. The world premiere of Dianne Fukami’s AN AMERICAN STORY: NORMAN MINETA AND HIS LEGACY brought a variety of political leaders to a full crowd on opening night at the Castro Theatre. 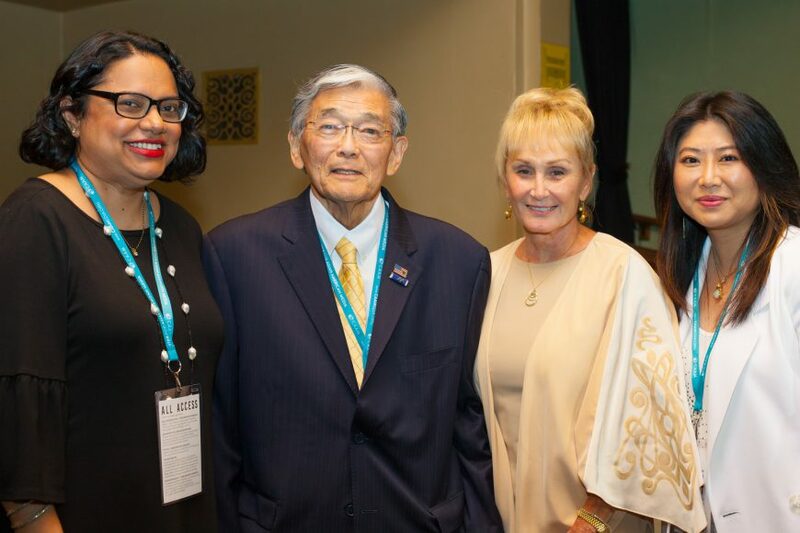 Former mayor of San Francisco Willie Brown, Japanese Consul General Tomochika Uyama, former Congressman Mike Honda, and Assemblymember David Chiu were amongst those in attendance at opening night celebrating Secretary Mineta’s legacy. 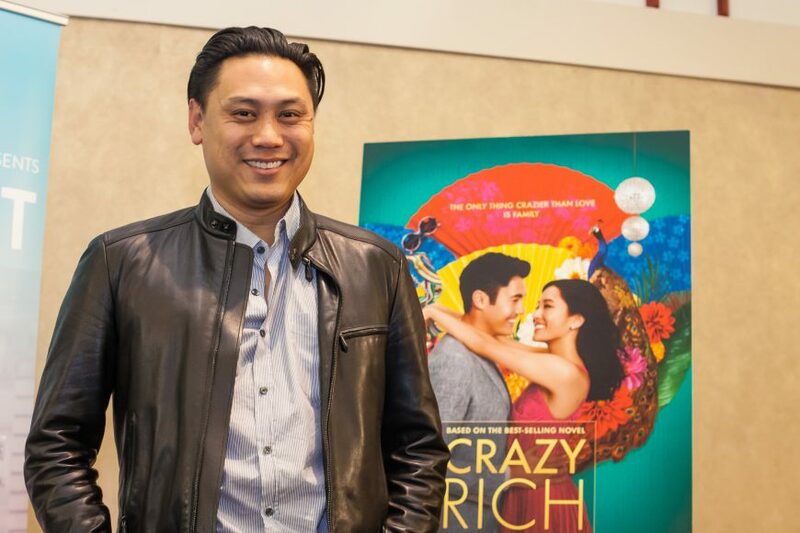 CAAMFest36 teamed with Warner Bros. Pictures new feature, CRAZY RICH ASIANS, to present an exclusive sold out event with director Jon M. Chu. During this mother’s day event, Chu gave a special shoutout to his parents, Lawrence and Ruth Chu, who were also in attendance. The on-stage conversation was moderated by Thuy Tran, Associate Producer of Public Programs at the Jewish Community Center of San Francisco, and also presented never-before-seen clips of the film, which is also the first major Hollywood studio film in 25 years to feature an all-Asian cast. Legendary Chinese martial artist and actress Pei-Pei Cheng was honored at Chef George Chen’s Chinese emporium, China Live, for CAAMFEAST: A CONVERSATION WITH PEI-PEI CHENG. This rare family occasion reunited Ms. Cheng with her four children, Eugenia Yuan, Marsha Yuan, Jennifer Yuan, and son Harry Yuan as well as her brother David, who hailed from Australia. 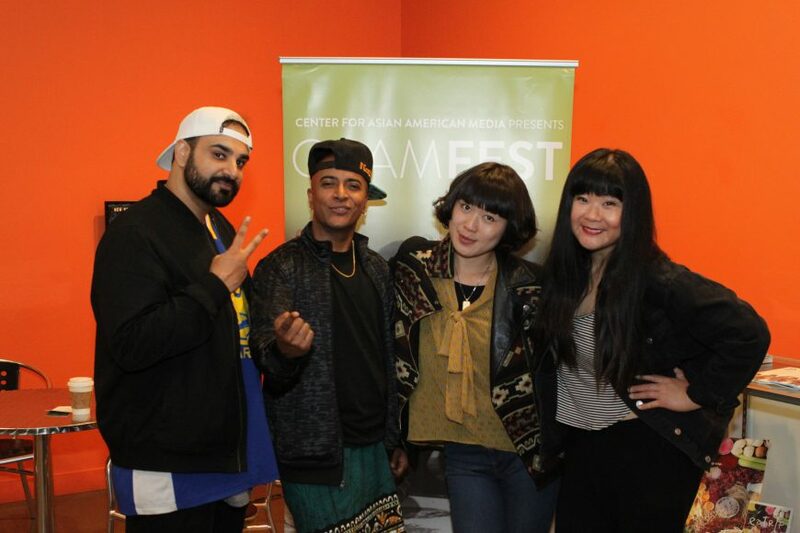 CAAMFest36’s HERITAGE SF garnered over 6,000 attendees in its inaugural debut. 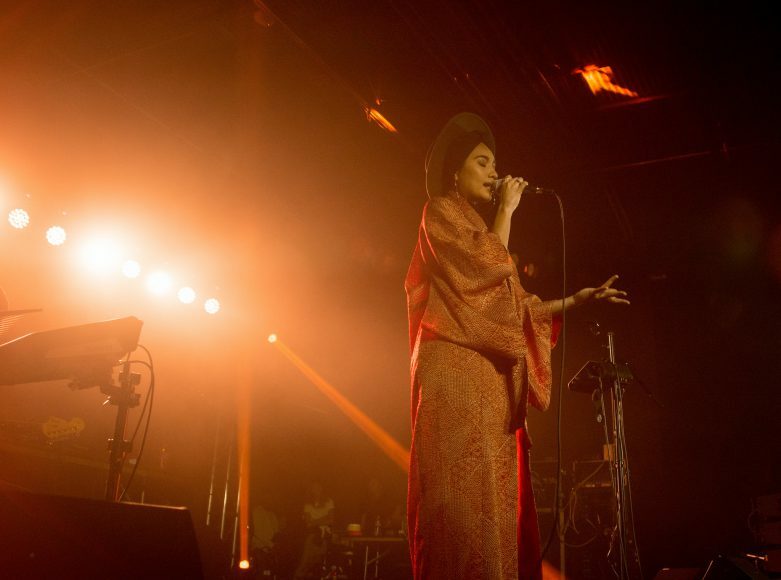 It featured musical performances from Malaysian singer-songwriter Yuna, Bay Area rapper P-Lo, Grammy nominated Hollis Wong-Wear and her electronic R&B trio called The Flavr Blue, Clara, Year of the Ox, and Anjali. CAAM also presented two community awards at HERITAGE SF highlighting the achievements of local Asian Pacific American leaders. Awards were presented to Villy Wang, Founder, President, and CEO of BAYCAT, with support from the Jeremy Lin Foundation and presented by Allen Lu. The inaugural Asian Pacific American Heritage Month (APAHM) Legacy Award was presented by Alaska Airline’s Annabel Chang, Bay Area Vice President, to Vinay Patel, Executive Director of the API Cultural Center. CAAMFest’s CAAMunity Screenings included Thomas Allen Harris’ new PBS show, FAMILY PICTURES USA at the annual collaboration with Friday Nights @ OMCA, which took place on May 18, 2018. The film screening was preceded by a sold out Asian Americans in Hip-Hop Panel with G Yamazawa, Kim Davalos, Eamon Mulligan, Sammy Chand, and Chris Santos. 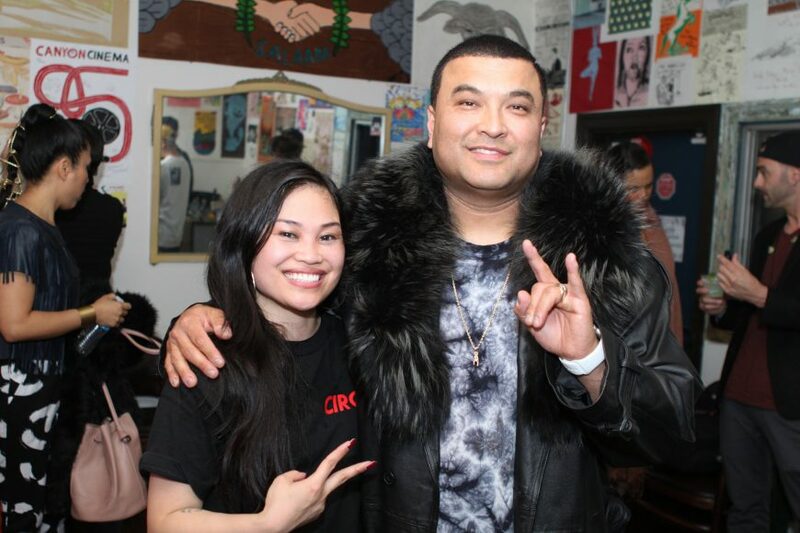 The celebration in Oakland continued late into the night at the Starline Social Club where CAAMFest had its very first DIRECTIONS IN SOUND in the East Bay, a sold out concert featuring performances by G Yamazawa, Ruby Ibarra, and Lyrics Born. 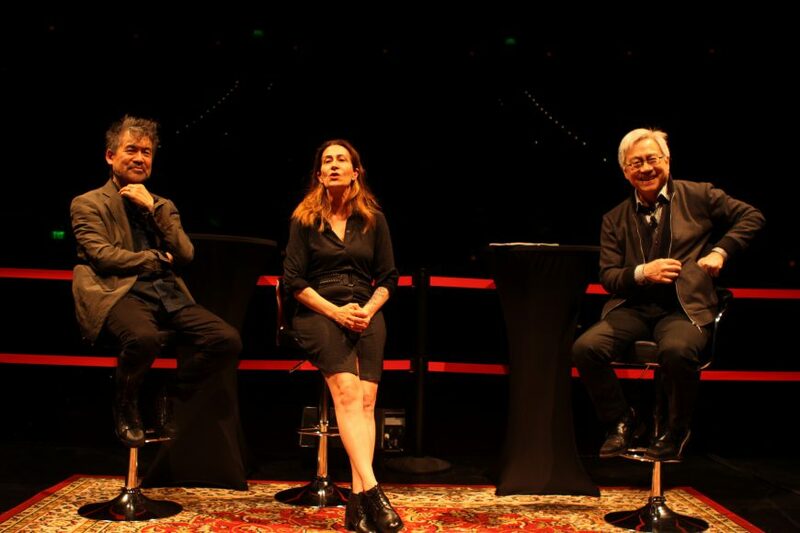 The Curran Theatre hosted an intimate CAAMunity talk with acclaimed theatre artists David Henry Hwang and Jeanine Tesori. CAAM’s executive director, Stephen Gong, spoke with the Tony Award winners about their latest musical, SOFT POWER. A rousing screening of local filmmaker James Q. Chan’s POWER IN UNITY at the San Francisco Public Library brought out the majority of the Community Tenants Association (CTA), the largest community based tenant group that organizes to defend the rights of low-income tenants throughout San Francisco. The screening on Wednesday, May 23, 2018 at the Koret Auditorium drew in a passionate local crowd and included the executive director of the Chinatown Community Development Center, Reverend Norman Fong. 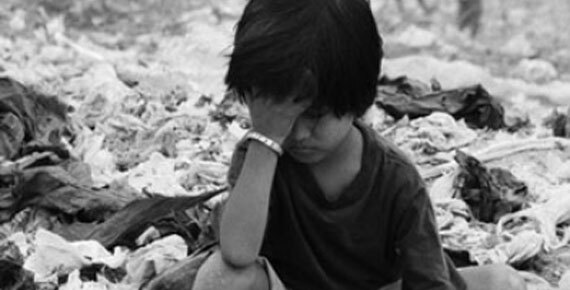 The Center for Asian American Media provides Asian American programming throughout the year. On May 29, 2018, the closing night film from CAAMFest35, THE CHINESE EXCLUSION ACT, broadcasted nationally as a two-hour film on PBS. It explores the history of American civil liberties, immigration, and culture – during one of the most formative periods of U.S. history. The film streams for free on http://www.pbs.org/wgbh/americanexperience/films/chinese-exclusion-act until Monday, June 25 at 11:59 p.m. ET. This summer, CAAM and WORLD Channel will present all MUSLIM YOUTH VOICES films culminated from the three-year initiative funded by the Doris Duke Foundation for Islamic Art’s Building Bridges Program digitally on YouTube, within the PBS app, and on worldchannel.org. 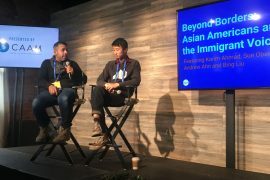 Comcast, in partnership with CAAM, continues to highlight Asian American content to a national audience through Xfinity. This specially curated programming changes monthly and is available at no cost for on demand subscribers – just say, “Asian American” into your Xfinity X1 voice remote. SUPPORT CAAM WITH A MEMBERSHIP! 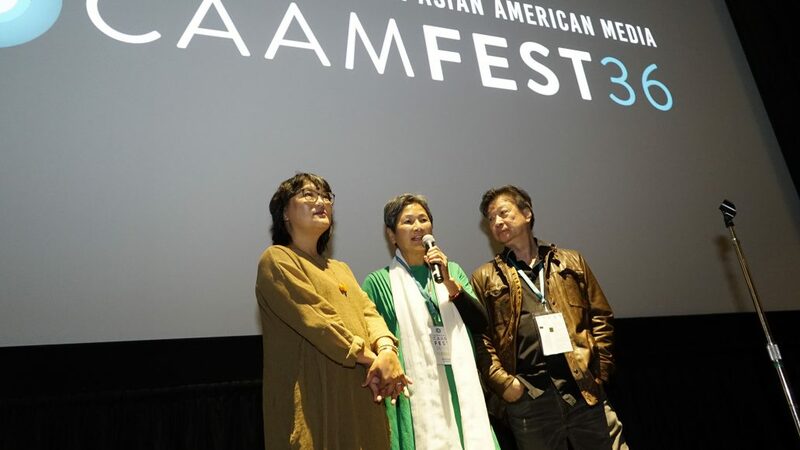 Members support CAAM’s year‐round programs and initiatives, including CAAMFest, an annual festival showcase that highlights the diverse stories and experiences of Asian Americans. Members also receive other benefits such as networking opportunities with fellow film enthusiasts, discounted and complimentary CAAMFest tickets, and exclusive event invitations throughout the year. For more information on membership and upcoming CAAM events visit www.caamedia.org. CAAMFest is supported in part by the following: Xfinity, AARP, Asian Art Museum, Boba Guys, Tiger Beer, 21CF Global Inclusion, Alaska Airlines, Cooper White & Cooper LLP, Fitness SF, Pacific Islanders in Communications, Pacific Standard Print, San Francisco Symphony, Warner Bros. Pictures, AT&T, Girl Friday Events, Umpqua Bank, Film SF, Gala Festival Engine, Nielsen, SAG‐AFTRA, University of San Francisco Masters in Asia Pacific Studies and the Yuchengco School of Philippine Studies, Hotel Kabuki, Hotel Majestic, Air Canada, Asian Pacific American Heritage Month, Academy of Motion Picture Arts & Sciences, California Tobacco Control Program, Consulate General of Canada in San Francisco, Consulate General of Japan in San Francisco, Corporation for Public Broadcasting (CPB), Doris Duke Foundation for Islamic Arts, Ford Foundation, Hong Kong Economic and Trade Office in San Francisco, John D. and Catherine T. MacArthur Foundation, Korea Foundation, National Endowment for the Arts, San Francisco Grants for the Arts, Hotel Tax Fund, The Jeremy Lin Foundation and the William + Flora Hewlett Foundation.